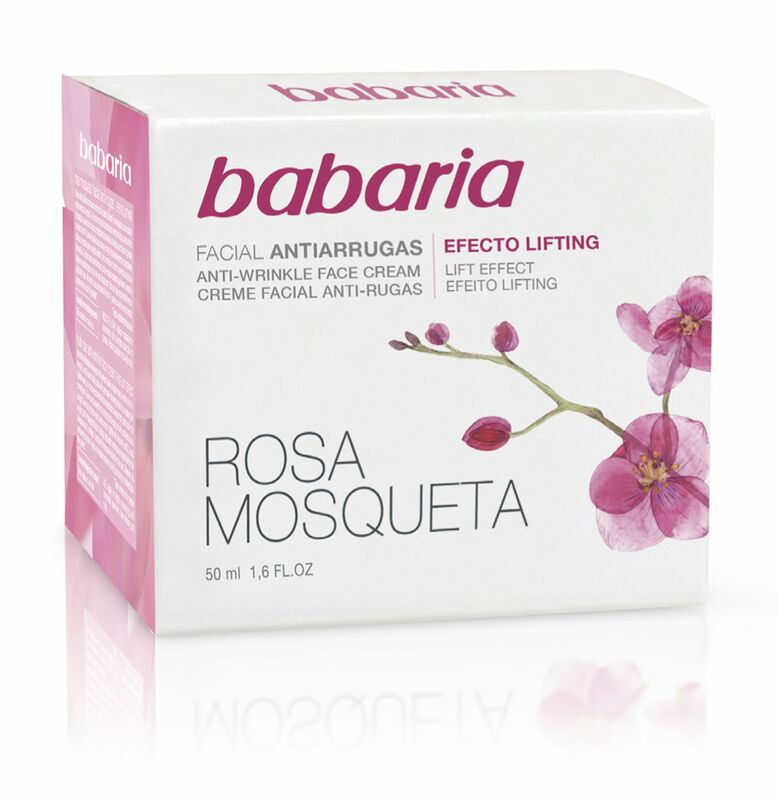 Babaria Rosehip Oil anti wrinkle cream with its unique tightening effect is designed to be used twice daily. This remarkable moisturiser with Rosehip Oil helps restore and improve the quality of skin tissue. This daily moisturizer which is rich in omega 3,6 and 9 essential fatty acids helps to minimize the look of lines and wrinkles and strengthen skin’s resistance to the environment. In short, look younger, longer. Rosehip Oil is recommended for tired and toneless skin, restoring optimum elasticity and freshness day after day. Its component Polyimide-1 gives an immediate tensioning effect, producing the desired face lifting effect. 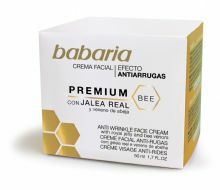 Used regularly, it strengthens tissues, smooth’s creases and eliminates the outward signs of aging, giving facial skin compactness and firmness. Research has shown Rosehip Oil to have remarkable results when applied to sun damaged skin and expression lines as well as old acne scars. • Due to the oils revitalising activity on the fibroblasts, collagen and elastin producing cells, the skin improves its firmness and elasticity. 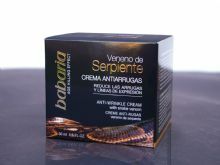 Keeping skin firm and young looking. Aqua, Cetyl Alcohol, Stearyl Alcohol, Rosa Moschata Seed Oil (5% Aceite Rosehip Oil), Penthylene Glycol, Glycerin, Dimethicone, Cyclopentasiloxane, Dimethiconol, Polyimide-1, Butyrospermum Parkii Butter, Cetearyl Glucoside, Styrene/VP Copolymer, Sodium Ascorbyl Phosphate, Tocopheryl Acetate, Parfum, EDTA Tetrasodium,Triethanolamine, Acrylates/ C10-30 Alkyl Acrylates Crosspolymer, BHT, Paraffinum Liquidum, Ascorbyl Palmitate.